Tara Duckworth began her career as an intern for the City of Wilmington in 1994, and worked her way up to superintendent of recreation and downtown services. In 2010, Tara joined New Hanover County Parks and Gardens as Parks and Gardens Manager. 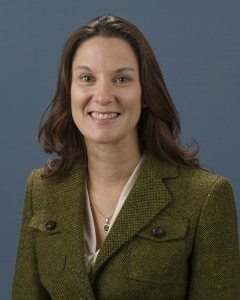 In 2012, she became the department’s director. Tara and staff provide a diverse, functional and aesthetically pleasing park system for the entire community. Under her leadership, the county’s park system has grown to more than 2,900 acres where citizens and visitors can enjoy recreational and athletic opportunities, nature and boating. An additional 67 acres make up Airlie Gardens, where Tara continues to enhance the environmental mission of New Hanover County’s historic garden. The development of New Hanover County’s Smith Creek Park and the expansion of the former Castle Hayne Park into the new Northeast Regional Park are among her major accomplishments to date. Tara graduated in 1994 from the University of North Carolina Wilmington with a Bachelor of Arts in Parks and Recreation. She is also a graduate of the University of North Carolina School of Government Public Executive Leadership Academy. Her passion for tennis and the outdoors take up her time outside the office.